Connersville, Ind. Police Officer Jeff and his wife, Jennifer Counceller, were in possession of a white-tailed deer that they found as an injured fawn on someone’s porch three years ago. The animal had maggot-infested puncture wounds that the couple worried would be life-threatening. 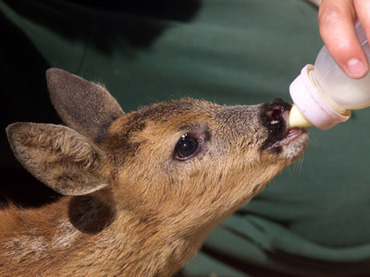 Anxious that the baby deer would not survive on its own, the couple brought it to their Indiana farm and nursed it back to health, not knowing that their good deed could land them in jail.